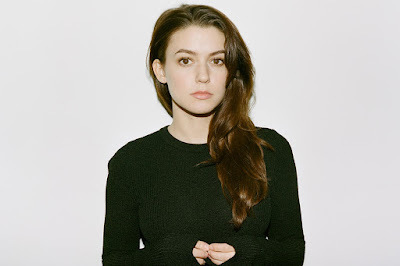 So we've reached the end & how could I finish this week off on anyone but Meg Myers? From the moment I pressed the play button on this song I was a fan. Then from the moment I looked at some of her other songs online, I was buying the album. Fast forward a bit of time & it's been a main stayer on my laptop & phone, becoming a rare album to not have a bad track on it. That's quite a feat to achieve because even with how much I've grown to love Bastille & always loved OneRepublic, I find some of their songs boring. I absolutely love this video because Meg is a rare singer who can emote. Many Artists/Bands come out with powerful music videos for their song that make us feel the story of the song, but you don't get it from them. Similar example is when you're watch TV Shows/Movies with a character having a very dramatic & emotional story line. Sometimes you connect a bit more with the emotion in the dialogue that's been given to them than you do with the Actor/Actresses performance. From the stuff I've watched there's an extremely small list of Actors/Actresses who can truly make you feel like what they're saying is coming from their heart, and not the papers they've spent the last week rehearsing over & over again to get just right. To get that from a singer is extremely difficult, so when I find it, you bet I'm gonna enjoy it. This song is from quite a few years ago and featured on one of my favorite TV Shows Banshee (we never speak of the last season) which at the time didn't register to me at all. I sincerely apologize for that & also advise checking out the Banshee soundtrack because it is superb. To finish this week off I give you a song that is probably my favorite off the album, though if you ask me again next week I'll have changed my mind because it's THAT good. I can't really say anything about Meg's music or her videos that I haven't already said. 2016 has been an appalling year in many senses, some of which I have personally felt, but in other ways (albeit smaller) it has also been a good year. It brought me here to CONTROLRadioUK & I am always thankful & surprised by the amount of people who read the articles I do my upmost to bring you every week. I've listened to some truly fantastic music this year & on New Years Eve you can enjoy my review of every album I've listened to this year (surprisingly not a long list so that's on the 2017 revolution board!) There are a number of reasons to feel pessimistic about 2017 but there are also a number of reasons to feel really excited, like albums that are coming out & more fantastic Artists/Bands to unearth!